Do you ever just see one of those inspirational home decor photos that are super gorgeous and make you want to get yourself to the craft store for supplies? This is one of those projects. I love how this headboard turned out. And then to se that it was made with foam?!? You have to see it for yourself. We're all adults here. We should have a headboard in at least one of the bedrooms in our home. As I write this, I'm currently shopping for one for my own boudoir. My budget is small, but my dreams are big. Here are 15 cool headboards that are queen-sized, modern, chic, and $200 or less! A quick internet search shows that DIY headboards tend to fall into two categories: tufted or reclaimed wood (i.e. pallets). We say it's time to move beyond the obvious and try out some of these creative and totally unique headboard ideas instead! Oh, tufting. I love the look, but am turned off by the idea of doing it myself. There are so many ways to get it wrong and it's easy to do just that. So when I saw this little shortcut, I felt a little more encouraged to tackle the trend! Making your own upholstered headboard could be more simple than this modern sued version from The Fox and She! Make a statement in the bedroom with a bold headboard inspired by modern, over-sized paintings! 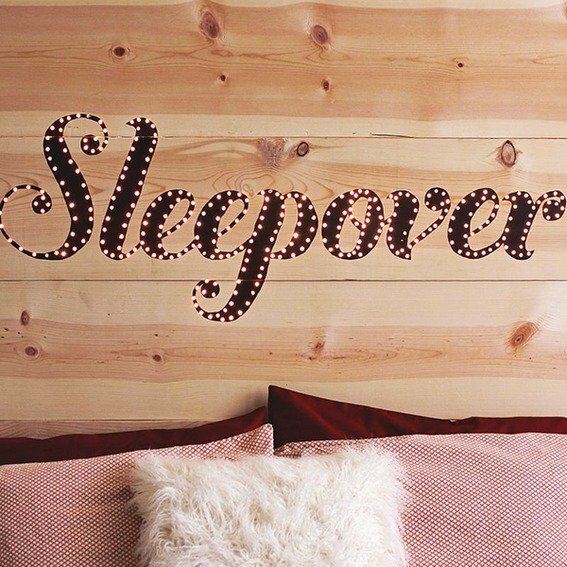 I love this DIY headboard. Why? Because it would look equally amazing in a traditional or modern home! 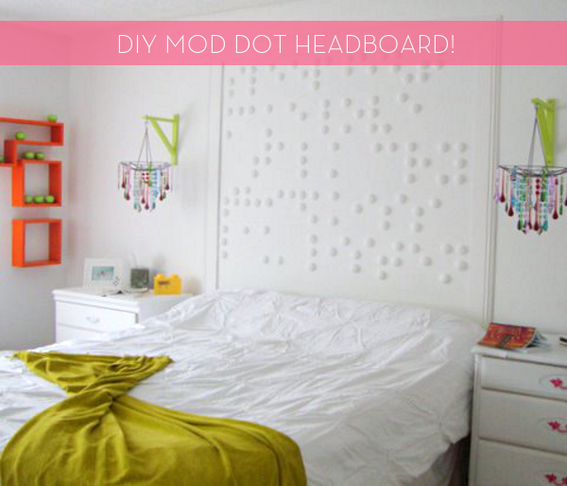 Before & After: A DIY Pegboard Headboard! I always love seeing creative, affordable solutions to decor dilemmas and this DIY pegboard headboard does not disappoint! Whether you call them trompe l'oeil or faux, these plastered-right-on-the-wall headboards are the three C's: clever, cute and CHEAP! I don't know about you, but when it comes to certain pieces of furniture I can be extremely fickle. For instance, my bed. I see a new headboard I want at least every other day. Could this be the answer to my indecisiveness?